“Shiny leaves of three, let them be.” Remember that? It's a helpful rhyme to recall when hiking to avoid brushing up against poison ivy. Don't heed this warning, you just may break out in an itchy rash the next day. 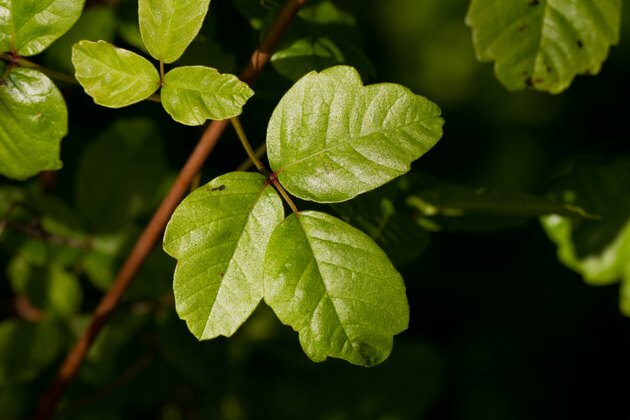 Many are aware of the uncomfortable result of tangling with poison oak, ivy and sumac, especially if they've already gotten that rash before. However, many don’t know that mangoes, cashews and ginkgo biloba can cause a similar skin reaction. Indeed, if you are highly allergic to poison oak, ivy and sumac, you should avoid these three things, as well. What Is It About Those Plants? Poison ivy and its cousins poison oak and poison sumac are members of the Anacardiaceae plant family. This family is comprised of fruit trees, woody trees, shrubs and vines that contain the rash-inducing oil called urushiol. Urushiol is the culprit behind those wicked rashes that ravage allergic individuals. The oil can be found year-round in all parts of the plant, including the roots, stems, flowers and leaves. Poison oak can grow as a dense shrub in sunlight or a vine in the shade. The three leaflets have scalloped edges resembling the leaves of a true oak and can change color depending on the season. The plant can produce greenish-white or tan berries. Poison sumac has compound leaves with seven to 13 leaflets, and the veins from which the leaflets grow are always red. The plant grows as a shrub and produces fruit that is a small white or gray berry. In those who are allergic to urushiol, contact with the resin causes an itchy rash, often configured in lines or streaks. Other features include blistering and swelling: It is not uncommon to see eyelids swollen shut. The eruption starts 12 to 72 hours after the first touch, and it may not come out all at one time, meaning new patches develop each day. The rash itself is not contagious to others, and animals cannot get the rash, but they frequently transmit the oil to their owners. Garden tools, athletic equipment, balls retrieved from a neighbor’s yard, etc., can also be stealth sources of exposure. Lastly, don’t think that clothing is always an effective barrier; the resilient resin can leach right through. If you think you have been exposed, wash off the oil immediately. When the rash is in full swing apply cool compresses or take colloidal oatmeal baths or prescribed topical or oral steroids from a health care provider for relief. It turns out that the mango tree and cashew nut tree are also members of the Anacardiaceae family. Urushiol is found in mango peels in small amounts. Once you’ve had a bad case of poison oak or ivy, however, your immune system becomes sensitized. The more poison oak or ivy reactions you have, the more sensitized your immune system becomes, so your reactions actually get worse each time your infected. Some immune systems become so sensitive from multiple poison oak or ivy exposures that they become susceptible to getting a rash from mango peels or cashew shells. The rash from mango peels is similar to poison oak in that it is itchy and blistery. It can be localized, such as around the mouth if eating the fruit off the peel, or systematized, meaning all over the skin. Generally, if the peel is off, chances of a problem are slim to none because the pulp does not contain urushiol. In cashew shells, the rash-inducing oils have usually been removed from store-bought unsalted, salted, roasted or raw cashews. 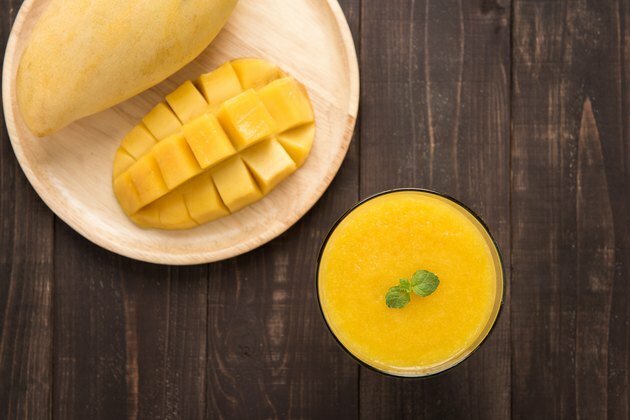 But there are certainly reported cases of unintentional contamination that have resulted in systemic, all-over reactions as described above with mangoes. 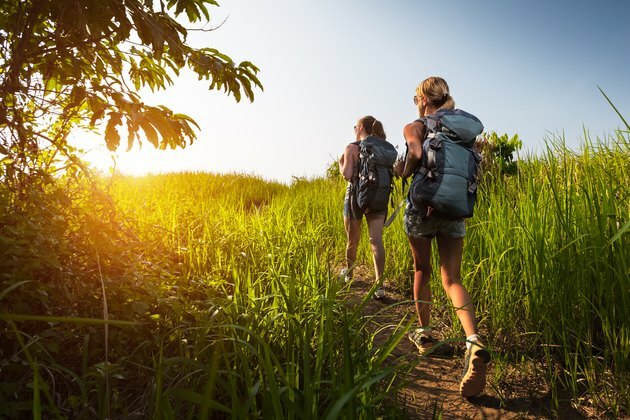 If you are highly allergic to poison oak or ivy, it is best to avoid cashews unless you are absolutely certain that the shell oil has been fully extracted. 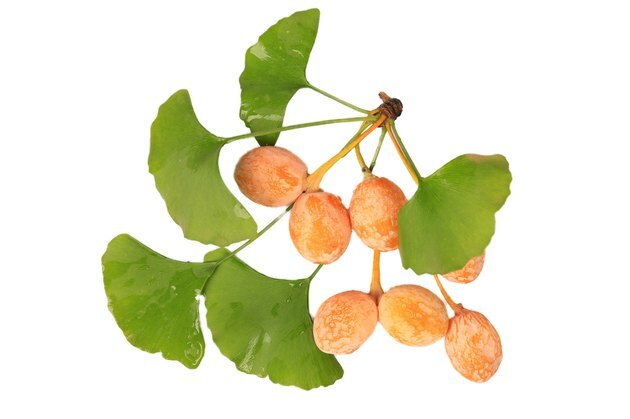 Although ginkgo biloba comes from a different plant family than poison oak and poison ivy, the nuts harvested from the female tree contain urushiol. These nuts are harvested and made into supplements because they improve neurological health and aid in the prevention of Alzheimer’s. If your immune system is sensitized by repeated poison oak or poison ivy reactions, you may be more susceptible to an allergic reaction to ginkgo biloba. Are you severely allergic to poison oak, ivy or sumac? If so, have you also had bad reactions with mangoes, cashews or ginkgo biloba? Tell us about your experiences in the comments below!